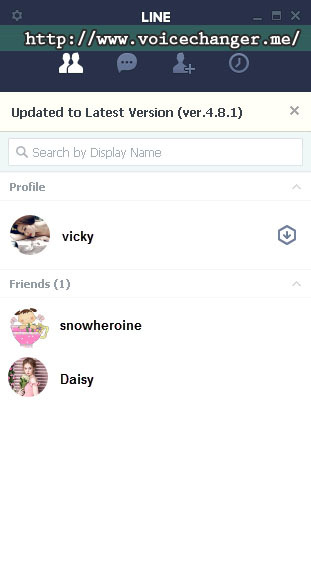 LINE is new on the market, but it has soon become one of the most popular VoIP and messaging service in Asia, and in other parts of the world. This is because the program is neat and well-made for making unlimited free calls to other LINE users no matter what type of devices and platforms they are on. In this page, I will show you how to tweak Voice Changer Software Diamond to work with LINE as if it is a LINE voice changer for real time voice changing. 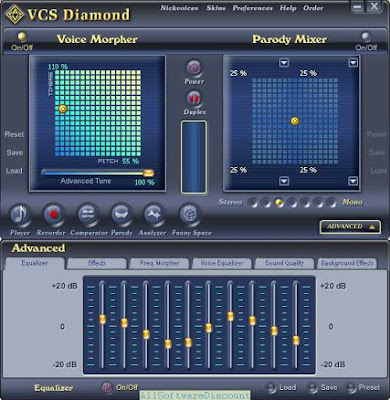 AV Voice Changer Software DIAMOND 9.5 is one of the best version of voice changing software products line from Audio4fun that can give much more natural output than any earlier version ever. Its built-in virtual audio device (Avsoft Virutual Audio Device) technique allows the program to mix up with any VoIP app to morph and change the voice in real time. 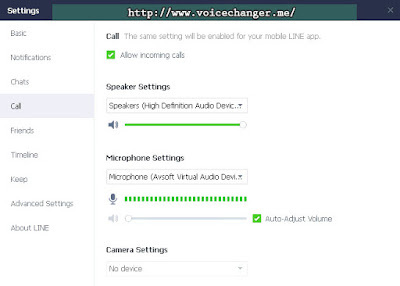 Voice Morpher feature of the program is the key feature for disguising or improving your voice over the voice chat sessions on LINE. 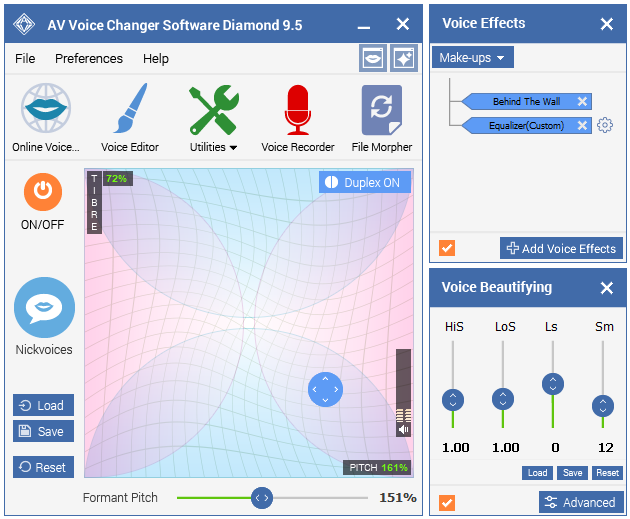 Voice Beautifying is the another newly added feature to enhance the natural of of your improved voice. Hit Setting icon at the top left corner of the program's main GUI to open the program's Settings dialog box. Apply settings and close the Settings dialog box. From now on, if you want to have your voice changed while making calls over LINE, you just need to run the AV Voice Changer Software program along with it. 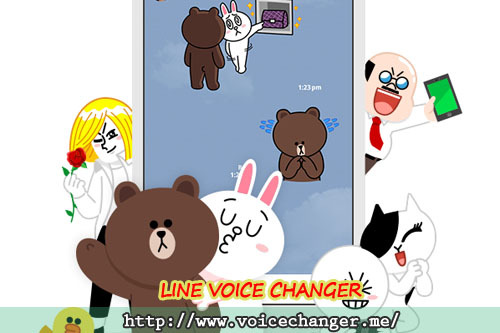 Buy Full version of the LINE voice changing program (AV Voice Changer Software 9.5 Diamond) now!